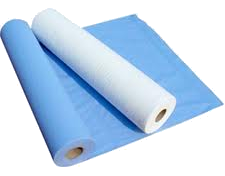 These premium quality Couch Rolls are soft and durable and are perfectly suited to a variety of uses in medical, healthcare and beauty environments, in particular as a high quality and cost effective way to cover treatment tables. They are soft and comfortable to lie or sit on and highly absorbent for optimal hygiene. Individually wrapped for cleanliness, they are well designed to tear neatly along the perforations making them easy to use.